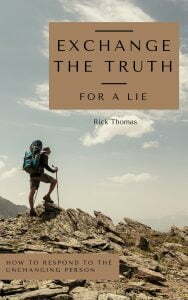 Exchange The Truth For A Lie: How to Respond to the Unchanging Person (29,000 words) – This book is for you because it speaks to our common human condition. “Today, if you hear His voice, do not harden your heart” is the clarion warning from the book of Hebrews. What was said two millennia ago is just as relevant today. Life in a fallen world can be a merciless and perilous place. The race we began has more twists and turns than we could have ever imagined. The temptation to drawback, give up, walk away, and create a new kind of truth is every person’s temptation. To walk with Jesus is a death walk, which sounds less demanding when read from the Bible than lived in life. The process of shrinking back from a cross carrying life begins in imperceptible ways. You may not even recognize your own drifting from the truth of God. This book can re-calibrate your soul, while transforming the life you live with others in God’s world. It won’t be easy. 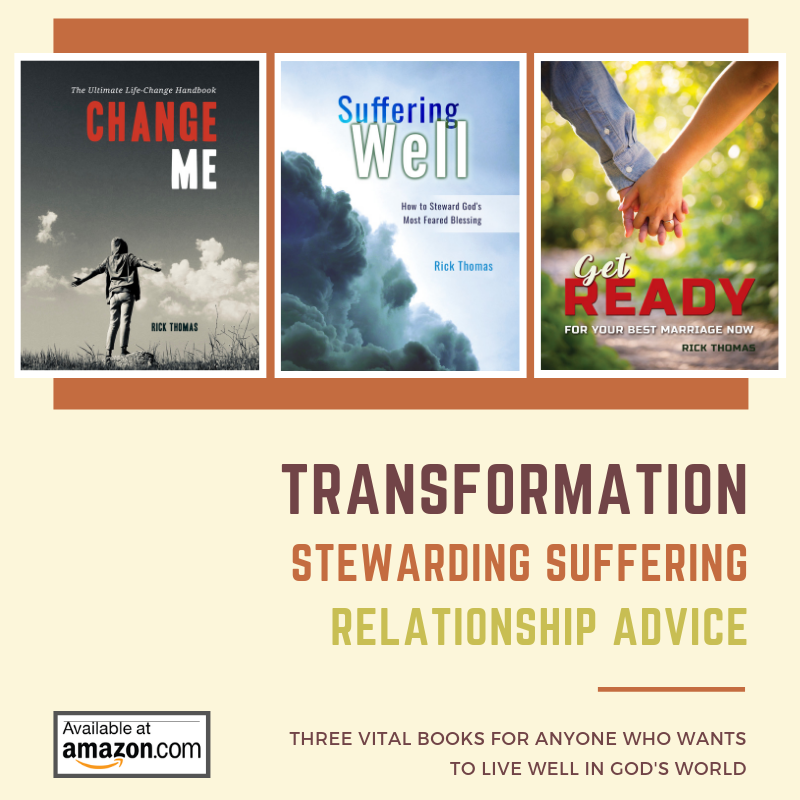 Through these pages you will see how God’s grace has been effectively appropriated in your life, but there will be other areas where you’ll “hear His voice” appealing to you to not exchange His truth for a lie. If there is any sense of the LORD’s conviction through reading this book, then I appeal to you to stop at that point and zero-in on those areas where change is needed. At the end of each chapter I have call to action (CTA) opportunities for you to self-reflect and self-assess. Take time to do this. My prayer is that many people will be called back to their first love, while others will be motivated to make ever-so-slight tweaks in their lives so they can be re-tuned to the sweet applications of the Canon and its Author. It is a joy to serve you. I’m so glad you’re reading this book. May the LORD of all keep you abiding in His truth, while mercifully guarding you from the dangerous exchange.